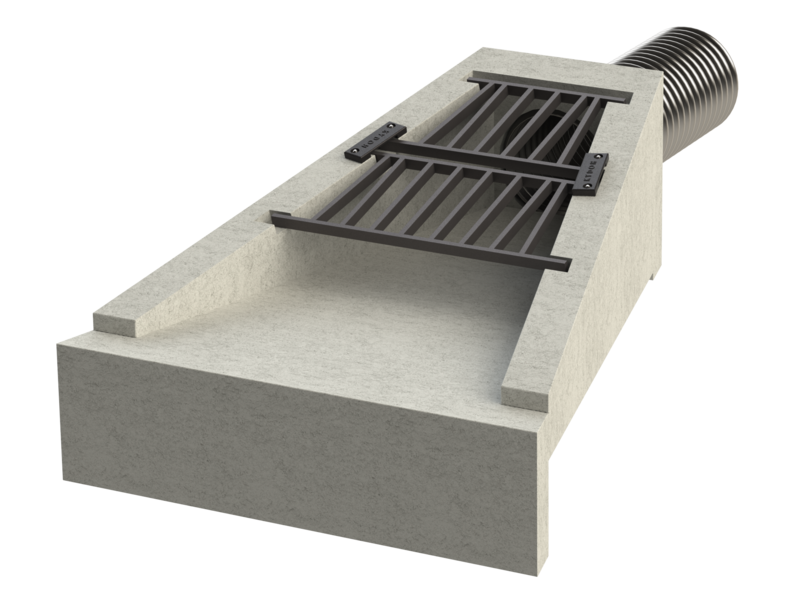 The headwall security plate assembly is designed to deter theft of headwall grates. 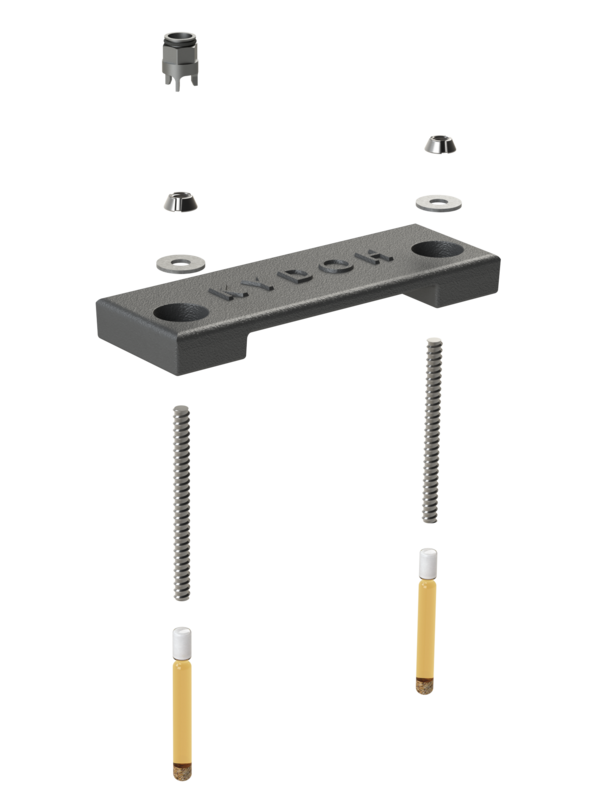 Made of unbreakable ductile cast iron, the plate attaches to the headwall via two anchor bolts using 1/2'' drive-in adhesive capsules for easier installation. 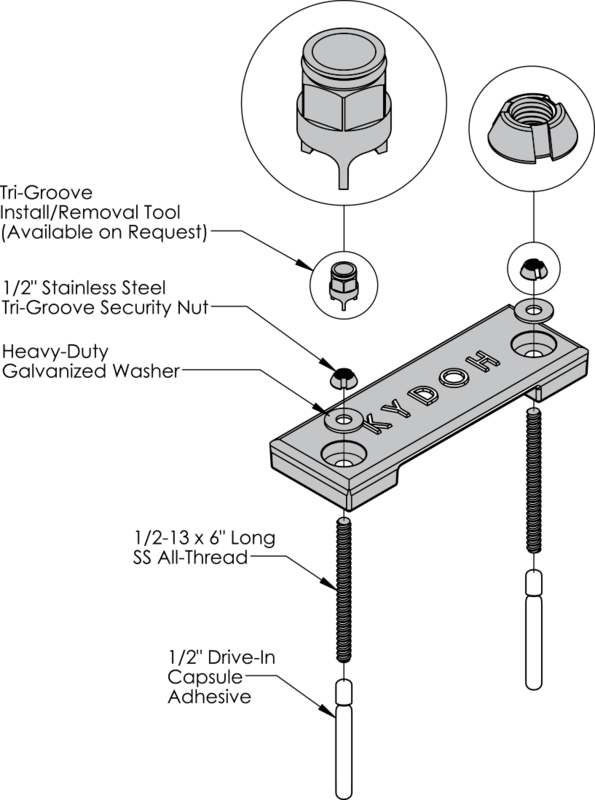 What really sets the KYDOH security plate apart is the use of a tri-groove tool, which is engineered to fit the 1/2'' stainless steel tri-groove security nut.